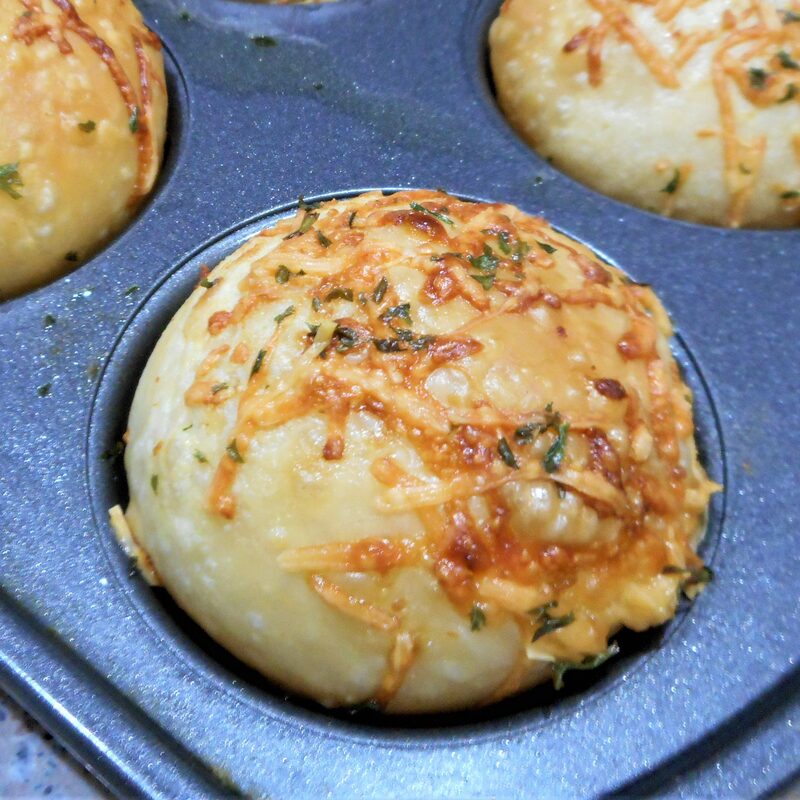 Although these rolls are as easy as they are tasty, frozen dinner rolls do take some time to thaw and rise, usually about 5 hours. You’ll need to plan accordingly to have them hot and fresh when you want to serve them. There will be topping ingredients leftover after all the rolls have been dipped. If you like, combine all the leftovers and serve as a spread for the hot rolls. 1. Place mayo in a small cup or bowl, melted butter in a small bowl and freshly grated parmesan cheese (not the powdered stuff in the green can) in another small bowl. 2. Blend the garlic powder into the melted butter. 3. Take a frozen ball of dough, dip the top half into each bowl starting with the mayo, then the butter and finally the cheese. 4. Place the rolls into a well greased muffin tin (cheese side up). Sprinkle with dried parsley, cover, and let rise according to the package directions. 5. If desired, combine all remaining topping ingredients and refrigerate. Allow to soften to room temperature while the rolls are baking and use as a spread on the hot rolls. 6. Bake rolls 15 to 20 minutes, or until golden.